Sing+, aka Singplus, is a free karaoke sing along app that help you sing and record songs easily & conveniently especially for African. Over 110000 songs (most of them are English and Nigeria songs) already in Singplus LIBRARY, including Kiswahili & Hindi popular karaoke songs, and keep increasing more than a hundred songs everyday! Singplus plays as a pro DJ who makes you sing your inner soul sound like a super star. It’s time to show off your voice and let your inner star shine! 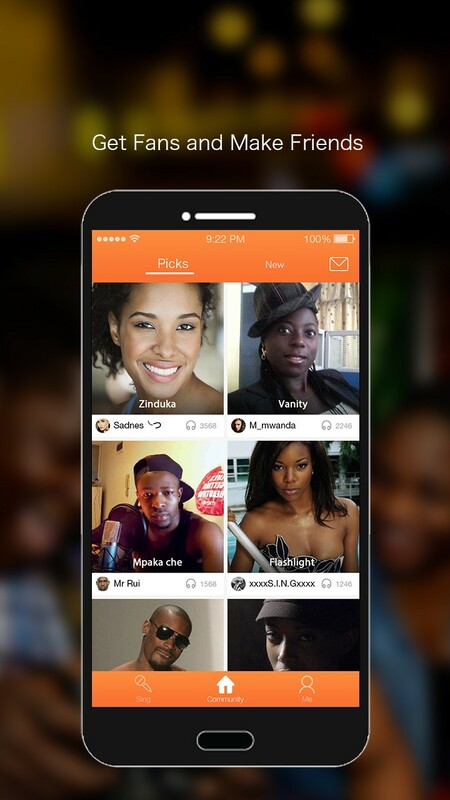 Over 100 thousands of African music lovers have joined and sing their hearts out with Sing+. With various audio effects, DJ mixer and equalizer, you can make your own karaoke style covers with Sound FX and Reverb after recording. As a free music community singplus users can sing and record, save and publish, share and discuss their favorite songs with those who have the same taste. Plus, All karaoke tracks and mp3 songs in SingPlus is unlimited, FREE to download. You can search easily and sing karaoke whenever you want, no matter online or offline! ★ Trending charts for Kenya, Uganda & Tanzania! ★ Save your favourite karaokes to practice or record whenever you are offline. ★ Daily update of new karaoke songs. ★ Gospel, Hip Hop, Genge, Afropop, Dancehall, DJ Mixes, Rhumba, Zilizopendwa. ★ All for free and no ads! 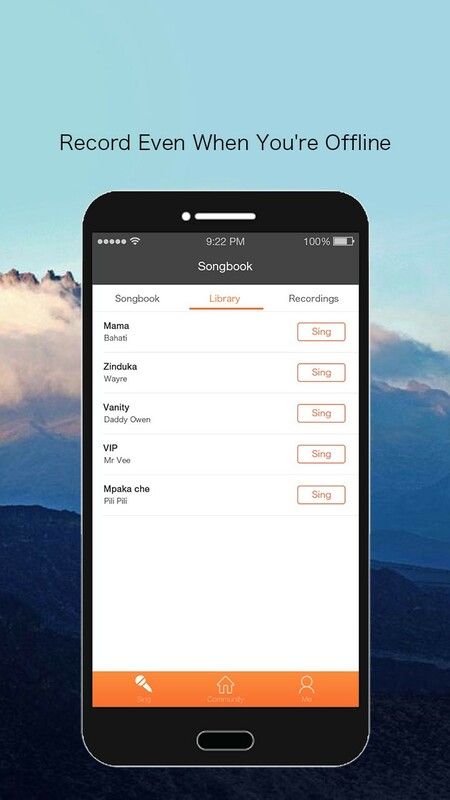 Record your vocal track as you sing along to the scrolling lyrics by choosing a karaoke track from Songbook. With various audio effects, echo, voice filter, mixer or reverb, you can make your voice sound like a real star! The pitch of the song is too high? Try Adjust the Key for your vocal’s good. Now let’s sing! Once you finished recording songs, you can edit your covers like a real DJ before publishing. With Sing Plus music mixer, you can adjust the equalizer to add echo to your vocal, as well as add reverb to the recording. Cannot hear your voice in the recording? 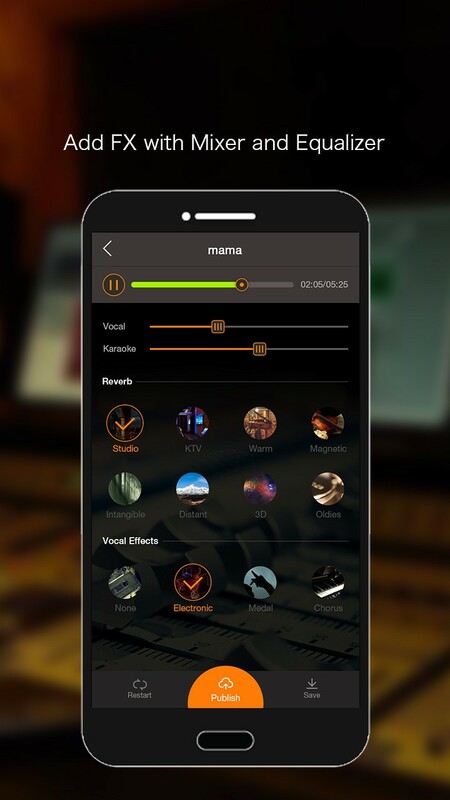 Try Volume controller for either vocal or instrumental music before saving your cover. Now make your voice shine! Publish your covers to Sing Plus community where there are gaining active music lovers from Africa. 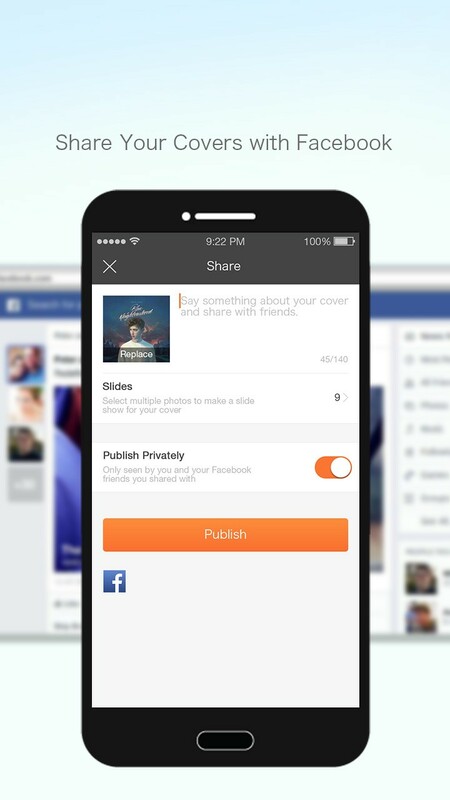 Besides, feel free to share your published covers with your friends via Facebook, Whatsapp (coming soon). Browse and download from an endless catalogue of hot songs in mp3 audios from a variety of genres and themes to sing songs, including gospel songs, Swahili worship, getto hip hop, reggae, Genge, Bongo, Kapuka, Rhumba and more. With Sing Plus, karaoke would be so much fun! We just started SingPlus, it may be not perfect currently, please give us feedback and a little time and patience, we’ll make it the best karaoke in the continent. Every single suggestion or comments from you would be greatly appreciated and valued by us.